﻿ Welcome to Architectural Mall, Inc.! Welcome to Architectural Mall, Inc: The source for all of your millwork needs. 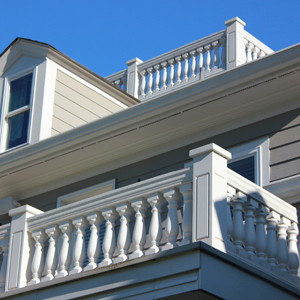 We pride ourselves as a one-stop shop for architectural columns and balustrades, wrought iron railings, moldings and doors, fireplace surrounds, and flooring. With more than 15 years of experience in the construction industry, we know what it takes to get the job done right. We offer a broad range of quality products at different price points to builders, homeowners, contractors, and dealers. All of our products are marked by ease of installation, ability to withstand different climates, affordability, and quality. We provide a broad range of products at one location so that you can focus on what’s important: finishing your project, commercial or residential, on time and as planned. Rest assured that any product you receive from Architectural Mall will meet and, hopefully, surpass your expectations. Thank you for your interest in our company and we look forward to establishing a mutually beneficial business relationship with you in the near future. 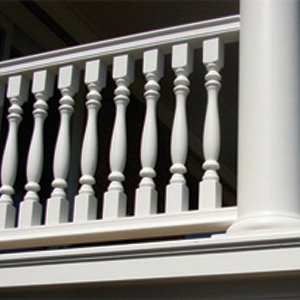 7" Balustrade System: $110 L.F.! !